That's right, it's time for your semi-monthly edition of Toon Thursday. This one's got a little heavy reading, but I promise it's worth it. I even used type rather than writing it out. Don't say I never consider my loyal audience. All four of you. Disclaimer: Toon Thursday is not responsible for the success or failure of the Title-O-Matic. Use the Title-O-Matic at your own risk. 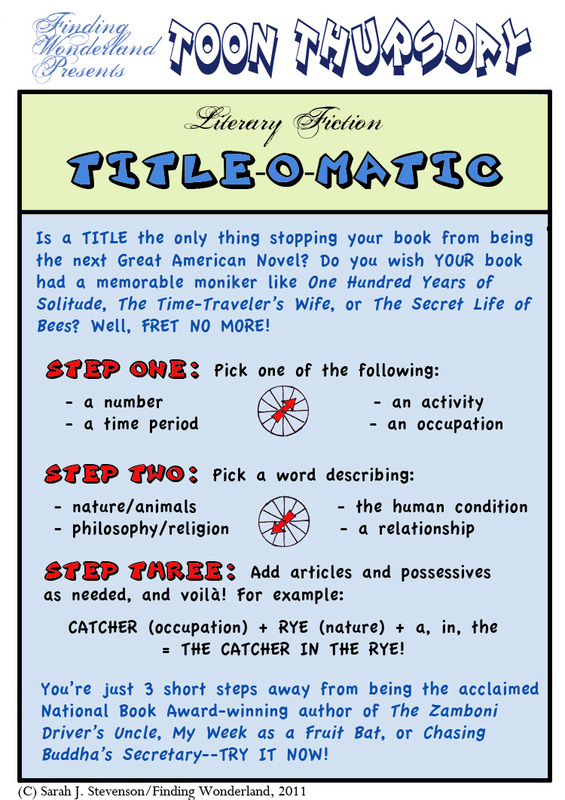 Do not taunt the Title-O-Matic. Thank you. My future book will be "Running from Friends," a Facebook story. Loved the SNL reference. Do not taunt Happy Fun Ball. I'd say that's not too far from the truth, either. I think if you take two of the first and one of the second, you get the name of a good picture book. Think about it. I think My Week as a Fruit Bat is probably a bestseller. Somewhere. 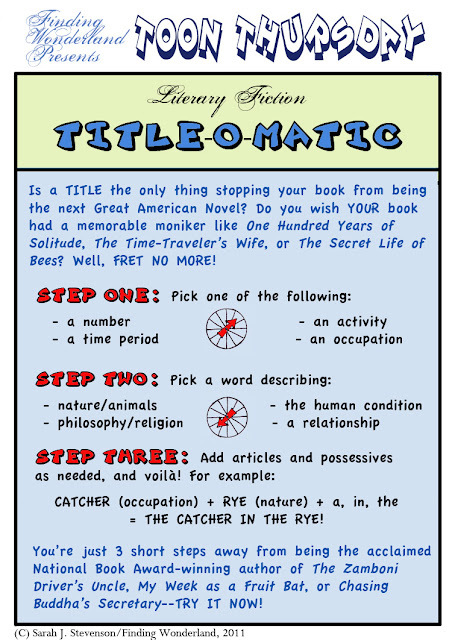 become bestsellers, I promise to credit the Title-o-Matic! 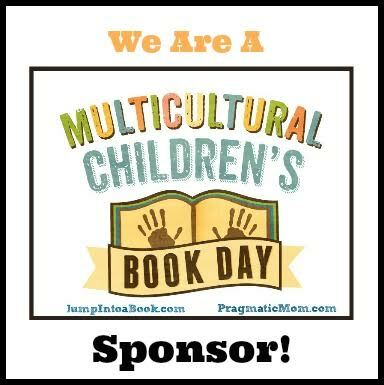 I want to read Four Wombats RIGHT NOW.